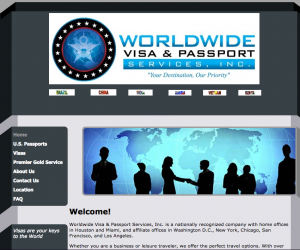 Worldwide Visa and Passport is a Houston base passport & visa expediting company. Worldwide Visa are able to your new passport, new visa, renewal visa or other type of important document will arrive ahead of your important trip abroad, you can turn to World Visa in your time of need. The standard processing time for a new visa application is four to eight weeks depending on a number of key factors, like the area of the country where you live and the time of year you are submitting your paperwork. With World Visa, you can have all of your official documents in hand in as little as one to two business days. World Visa will help make sure that your trip isn’t delayed at all due to visa or passport processing times and more, allowing you to enjoy your trip stress free.